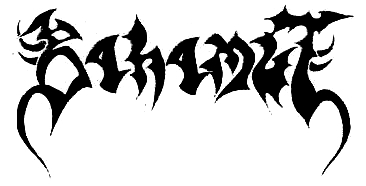 Bahamut Zine was born in early 1992, created by four young Metalheads who were very much into the Underground Metal scene: Bruno, Nuno, Rick and Terres. The first issue was in Portuguese (the only one, as all later issues would be in English) published in March 1992 and featured interviews to bands such as Corrosion of Conformity, Immolation, Thanatos, Decayed, Filii Nigrantium Infernalium, etc. as well as demo, LP and gig reviews, and lots of flyers and so on. Three more issues ensued, one a year (until 1995). The second one (Spring 1993) had dozens and dozens of interviews, with bands such as Unleashed, Tiamat, Cadaver, Sepultura, Rotting Christ, Convulse, Demigod, Shub-Niggurath and many others, and lots of reviews. By 1994 the 3rd issue was released, a little less ambitious and with Terres and Nuno gone, replaced by Hélio Ramos. Some of the featured bands were Pandemonium, Necromantia, Funcunt, Ancient Rites, Lethal Prayer, House of Usher, and so on. The fourth and final issue was already done by a struggling staff with less and less time and money. Still, it featured interviews to Bal-Sagoth, Absu, Orphaned Land, Ancient, In the Woods…, etc. After that it came to its end. Gone but not forgotten.